A check shirt, waistcoat and fixed-gear bike used to be enough to set the aspiring hipster on his way. 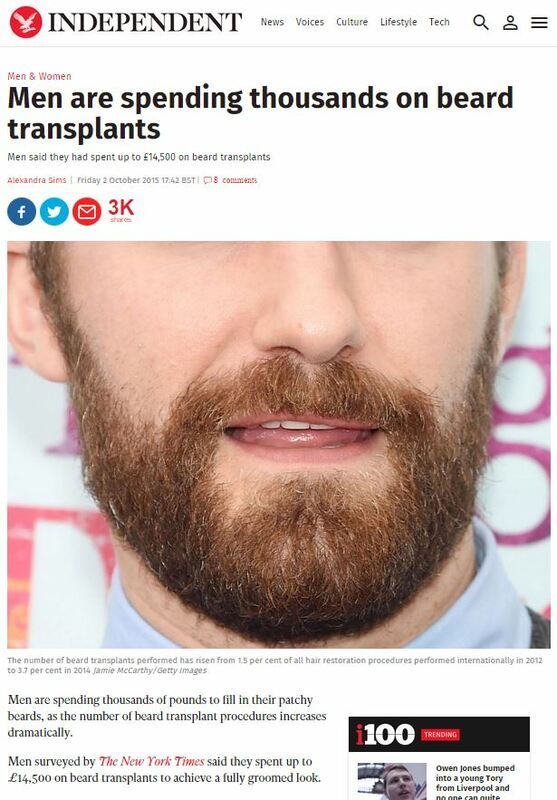 For the whiskerless wannabe, it seems that something more drastic is now required: a beard transplant. Rising numbers of men are having facial follicle grafts to achieve the bushy look favoured by trendy urbanites, surgeons say. The cultural link between beards and masculinity is also fuelling demand in some ethnic groups. 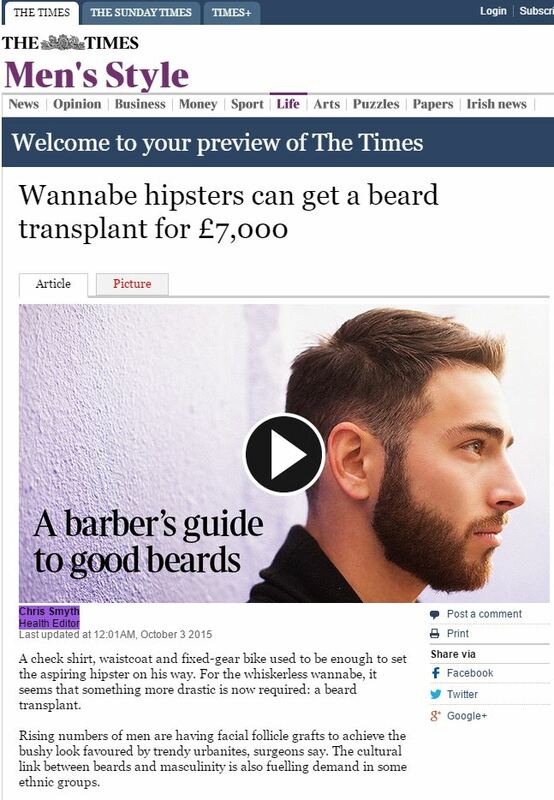 Men said they had spent up to £14,500 on beard transplants. Men are spending thousands of pounds to fill in their patchy beards, as the number of beard transplant procedures increases dramatically. The number of beard transplants performed has risen from being just 1.5 per cent of all hair restoration procedures undertaken internationally in 2012 to 3.7 per cent in 2014, according to the nonprofit medical association, International Society of Hair Restoration. Well, thank god the ISHRS is here to offer us expensive and clearly-niche surgery to live up to the latest look, while using their PR to make out like this is an entirely normal state of affairs. Otherwise this whole story could have seemed utterly ridiculous. This entry was posted in International Society of Hair Restoration and tagged Alexandra Sims, Chris Smyth, Francesca Kentish, independent, International Society of Hair Restoration, Jeffrey Epstein, Jonathan Wells, metro, telegraph, The Times, Vincenzo Gambino on October 27, 2015 by Michael Marshall.